Would you rather suffer through the pain of a toothache than visit the dentist? Does the thought of undergoing a simple tooth cleaning make you tense up with fear? If you answered yes, don’t worry, you are not alone. 75% of U.S. adults suffer from dental anxiety and 10% suffers from a dental phobia. Luckily, there is a solution. You can finally relax in the dental chair thanks to sedation dentistry. The three most common types of sedation dentistry are I.V sedation, oral sedation, and nitrous oxide (laughing gas). 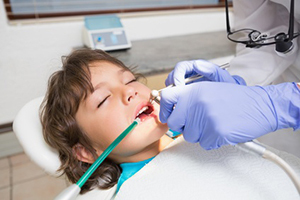 Each type of sedation dentistry possesses its own advantages and different levels of sedation. As a result, you will need to consult with your dentist to determine which is best for you and your specific needs. Say goodbye to dental anxiety and hello to sedation dentistry by calling Country Isles Dental today.